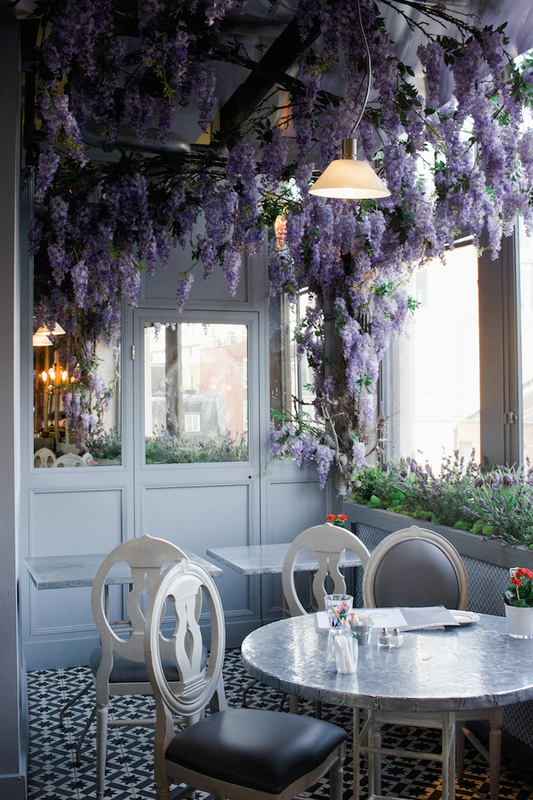 Serving breakfast by day and unique cocktails by night, The Folly is garden-inspired gem in the City of London neighborhood. Natural light pours into this huge space, which includes an airy botanical lounge and trendy downstairs dining room. We stopped by for an early breakfast before heading to SkyGarden around the corner. The breakfast is nothing out of the ordinary, but when paired with their juices you'll definitely start your day off fresh. 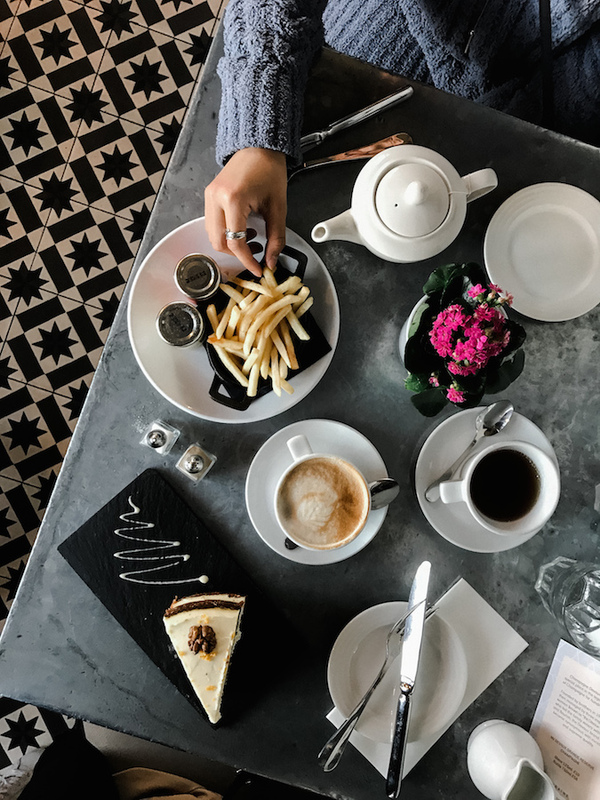 Also shown in the first image of this post, Aubaine Oxford St. is a small but elegant restaurant tucked away in the famous Selfridges department store. Personally I found the meals to be over my budget, so we stopped by for afternoon tea to enjoy a midday break underneath the wisteria. I suggest stopping by early in the morning or during off-dining afternoon hours to make sure you get a table under the flowers. They're limited! 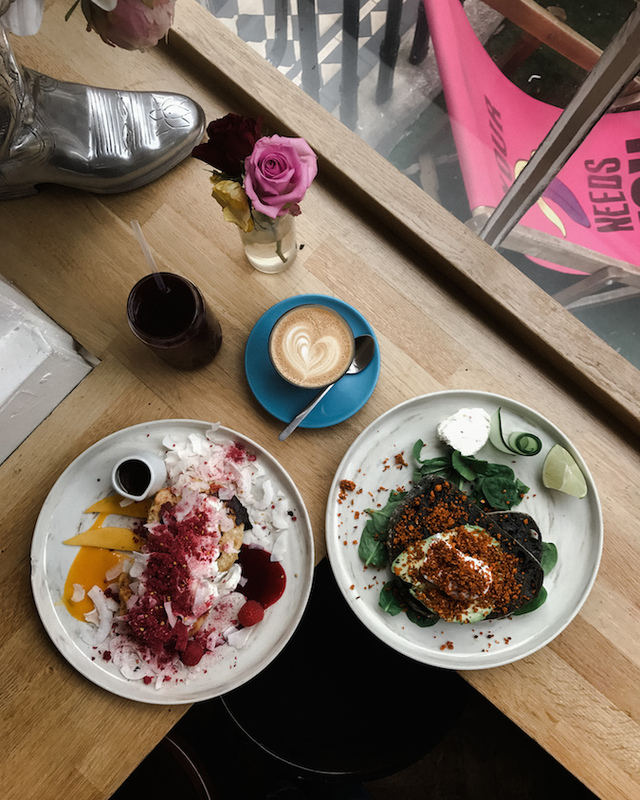 Clerkenwell Grind is everything you want for a delicious breakfast with aesthetic (thanks Van for the suggestion). 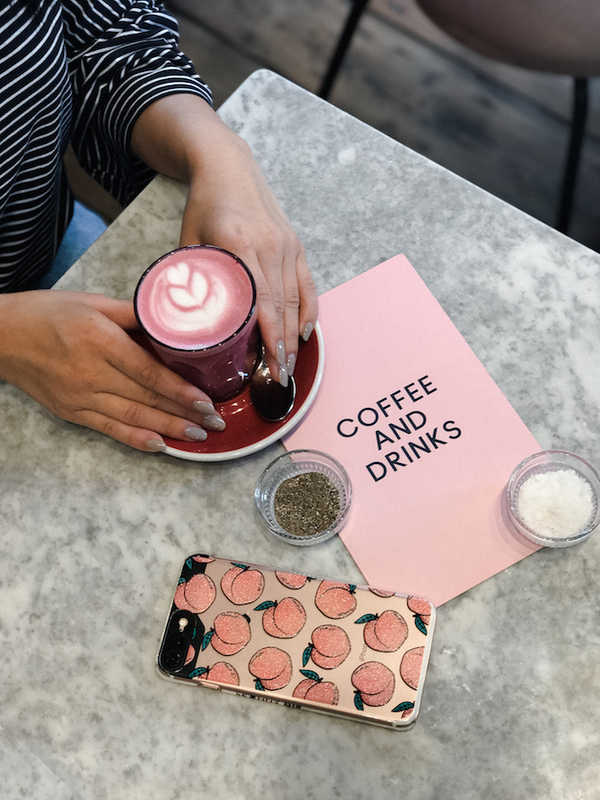 The space is decorated with navy and pink velvet seating paired with marble tables -- can you ask for anything more photogenic? Fortunately the food is absolutely delicious and portioned well based on the price. We ordered the french banana toast and coconut pancakes for a carb-filled breakfast that we could barely finish! We spent our first dinner in London munching on seafood tapas at Chicama in the Chelsea neighborhood. I would recommend this place to anyone looking for a more exotic choice, as their menu is inspired by Peruvian cuisine (think: bold flavors). We ordered the courgette/cornmeal beignets, salmon ceviche, and sea bass ceviche all to share. I'm already planning on going back for lunch the next time I visit London! 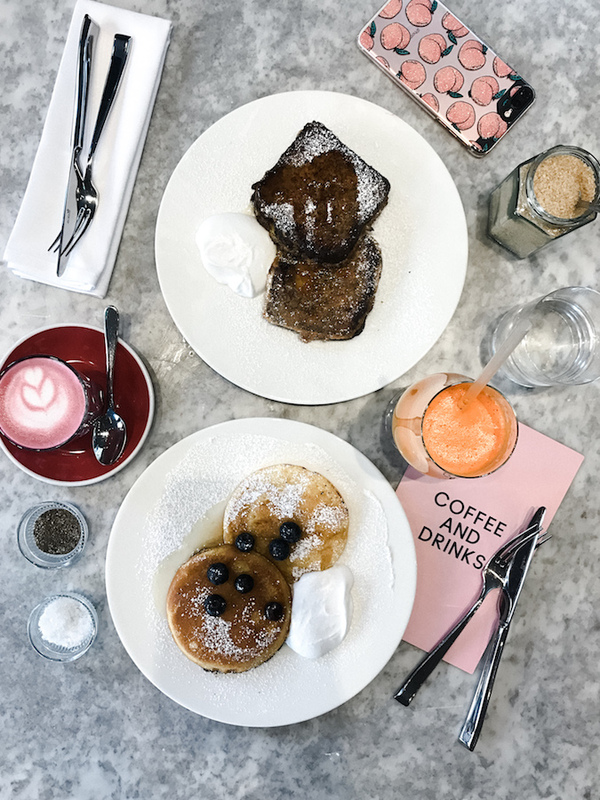 For our morning in Notting Hill we had planned to brunch at the ever-popular Farm Girl, but a one-hour wait didn't quite sit well with our stomachs. We ended up on a quiet street to dine at Eggbreak, where (I'm sure you can guess) all kinds of egg dishes are the specialty. By the end of the meal, we were more than satisfied with this Plan B decision. Our meal included the Mexican Omelette, Turkish Eggs, and of course a side of fries. I highly recommend this spot to cure your brunch cravings! 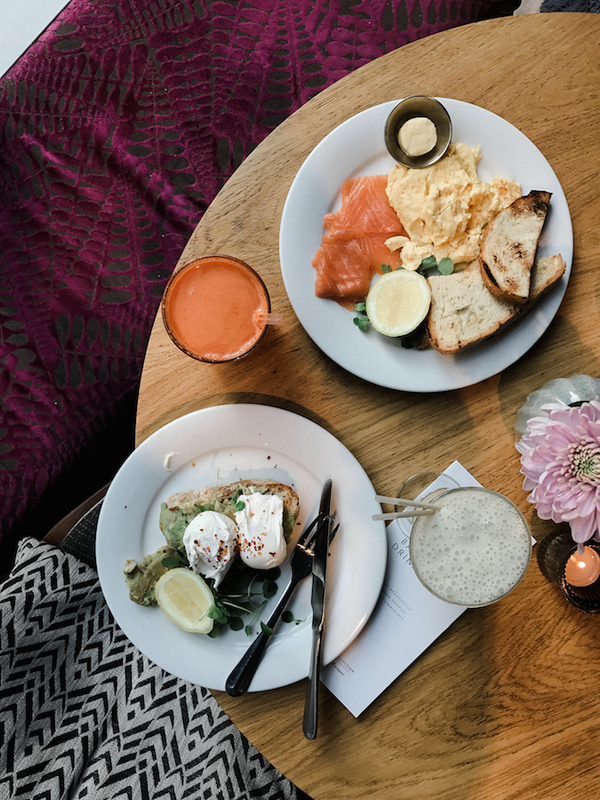 We kept a theme of delicious but healthy brunches to make way for heavier dinners during our trip. 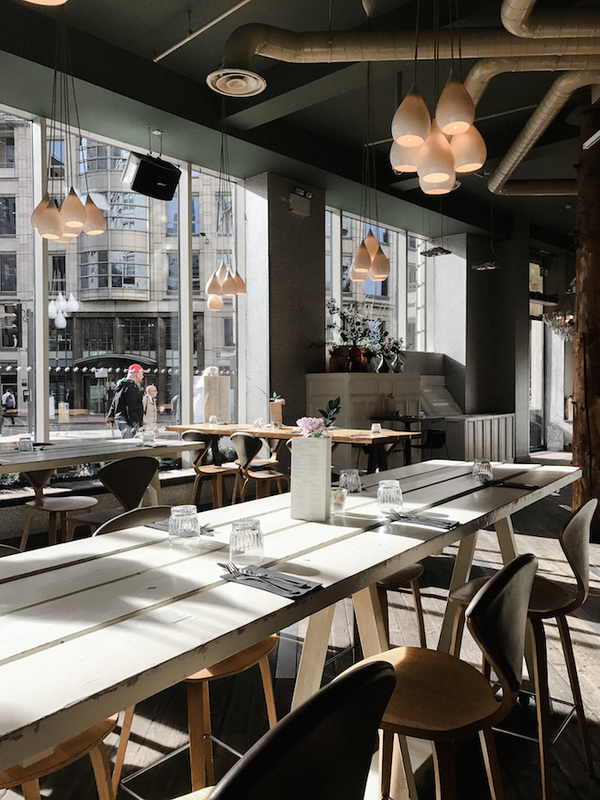 The above two restaurants are both located across the water in Bankside, which is home to plenty of must-see spots including Tate Modern and Borough Market. Where The Pancakes Are (on the left) is truly a hidden gem that offers the most unique selection of fluffy pancakes, contrary to the typically thin ones served in London. They are also able to make any of their dishes vegan for those under any restrictions. 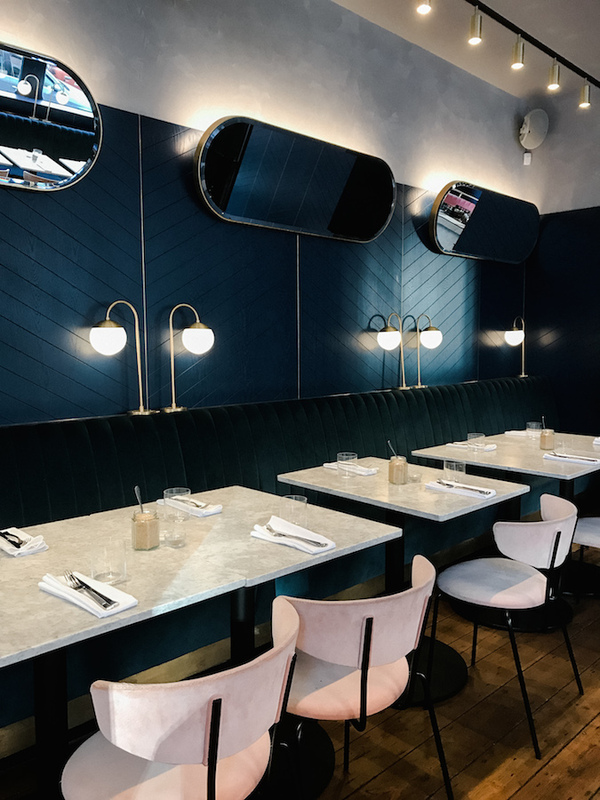 To the right, Caravan Bankside is located in a refurbished metal box factory serving brunch items that are anything but basic (all other meals too). 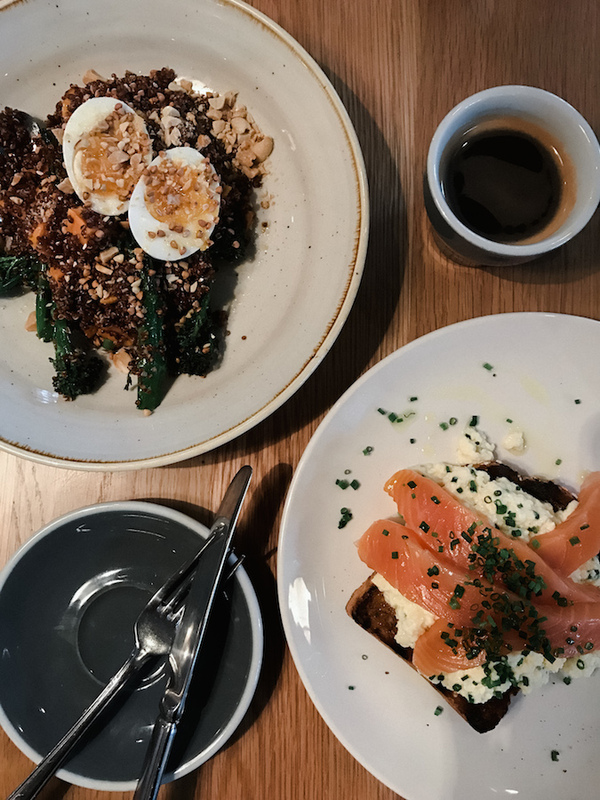 We ordered the Red Quinoa and Buckwheat Bowl and Chapel and Swan Smoked Salmon Toast to keep things light, but I'll definitely be back for the Slow Roast Pork Belly with Kimchi Pancake one day! And now for the healthiest of them all, Daylesford Organic in Marylebone. This is a completely farm-to-table restaurant that also includes a market of freshly-made food to-go. 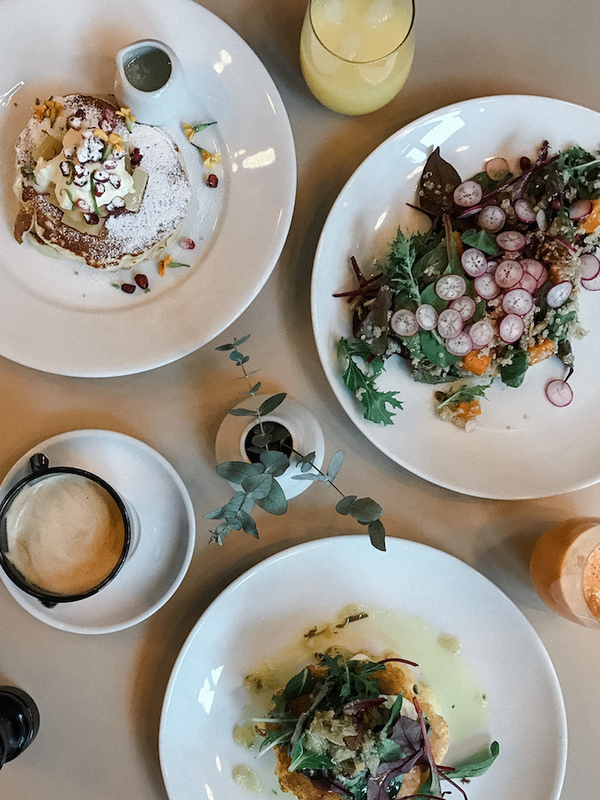 In addition to being a café, Daylesford prides itself on growing and producing organic food as one of the most sustainable farms in the United Kingdom. 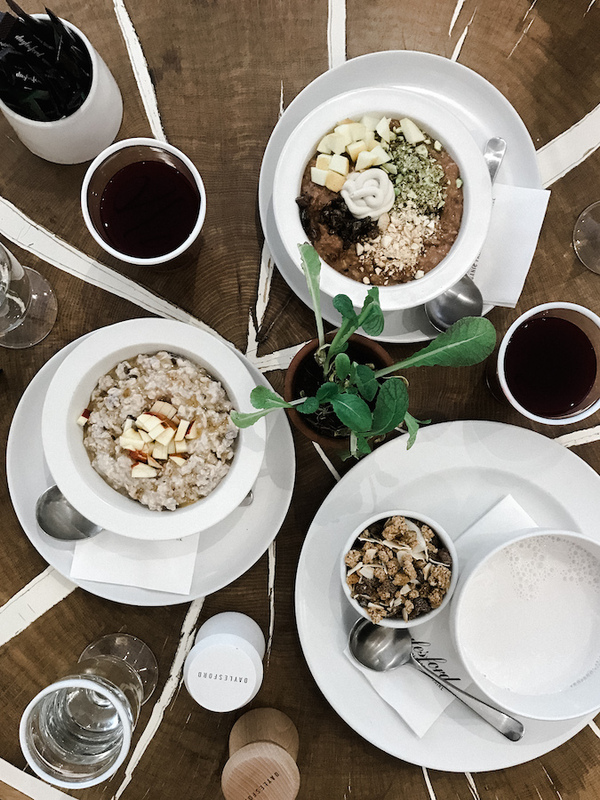 If you're looking for an ultra-healthy breakfast, this is the place for you. I can't say my palate was completely satisfied by this meal, but I definitely felt the difference in quality of ingredients. 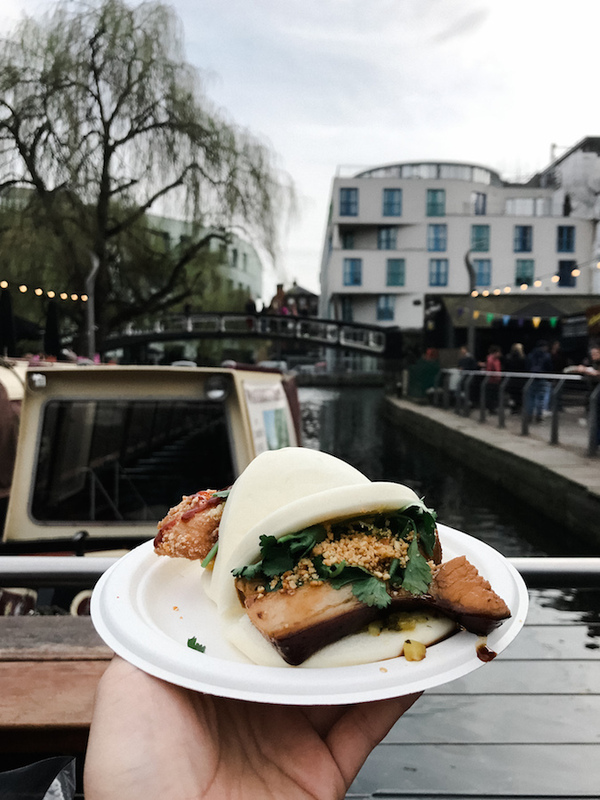 As mentioned in my previous post, Camden Market was one of my favorite stops for a uniquely local afternoon. The options for food here are endless, so I recommend stopping by for a few hours and taste-testing as much as you can. 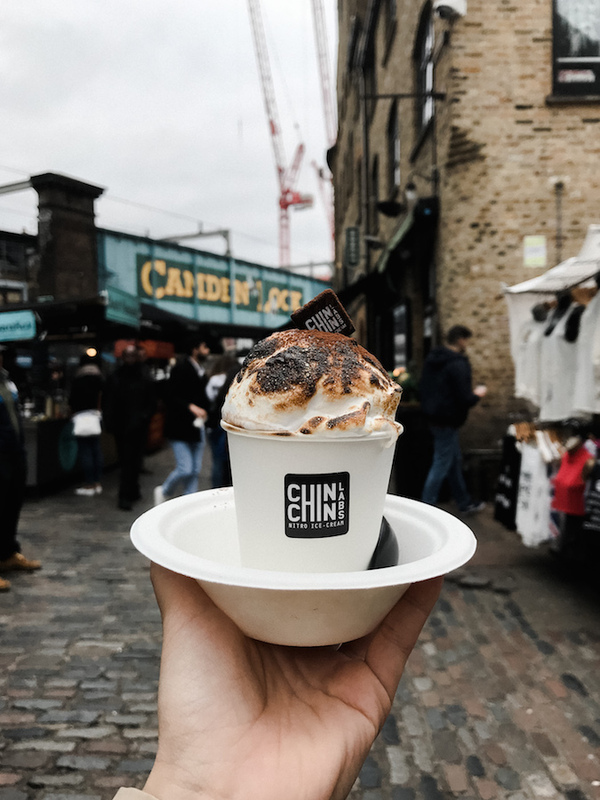 I grabbed Taiwanese buns for lunch at Bian Dang and finished it off with a marshmallow-topped hot chocolate from Chin Chin Labs. I only wish I had the appetite to try even more! 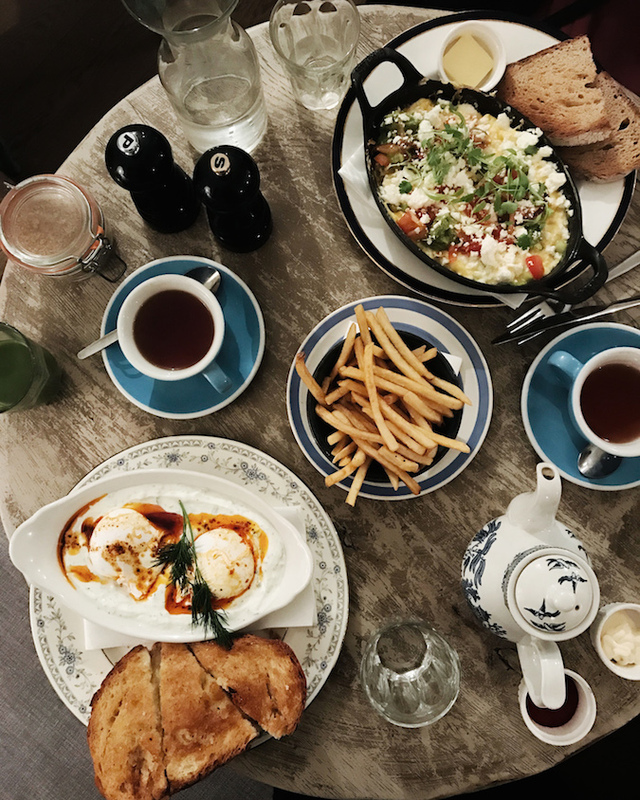 Before heading to the Changing of the Guards at Buckingham Palace, we grabbed a flavorful brunch at Daisy Green in Marylebone. All the menu items offer a unique spin on typical brunch dishes, as shown by the Coconut Bread French Toast and Avocado on Charcoal Bread above. I recommend making a reservation before you go, or arriving early to sit in the front café area. This place gets booked up quickly (and for good reason). 1. My favorite dinner by far was at Marylebone's Opso, a modern Greek restaurant serving tapas-style dishes. The options are endless, and the flavors are amazing. I personally recommend the Mini Fish Burger (on squid ink buns), Pastitsio Noodles, Olive Oil/Garlic Spread with Pita, and Beetroot Carpaccio. 2. When in London we had to get our fish and chips fix, so we headed to the highly-rated Poppie's in Shoreditch for the best of the best. Personally I'm not sure how special fried fish and fries can be, but it definitely makes for an enjoyable cheat day meal. 3. Our last dinner in London was spent at Sri Suwoon, a Thai restaurant tucked away on a quiet street in the Victoria neighborhood. 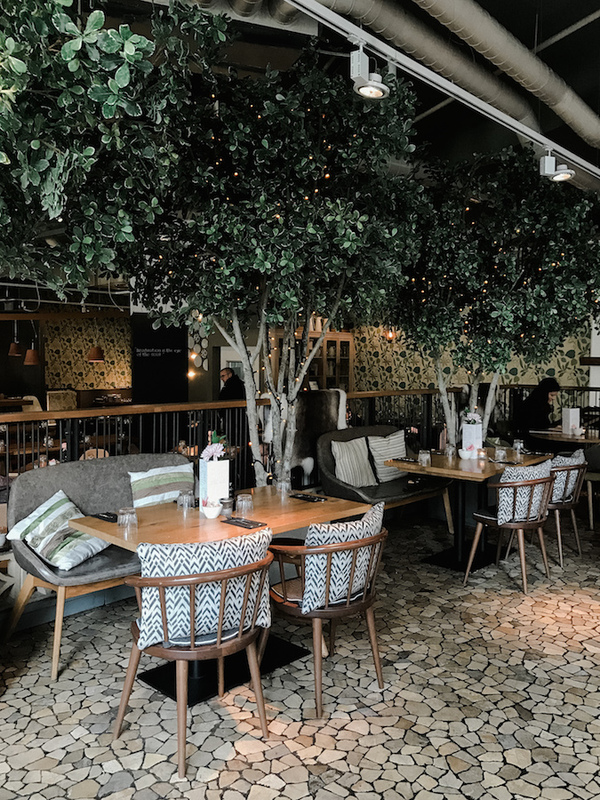 I would recommend this spot for anyone spending a prolonged amount of time in London and craving an authentic Asian meal as it is located a bit out of the way. 4. Because our cousin Julie is vegan, I'm sure you'll notice that we chose restaurants with enough options to accommodate her diet. 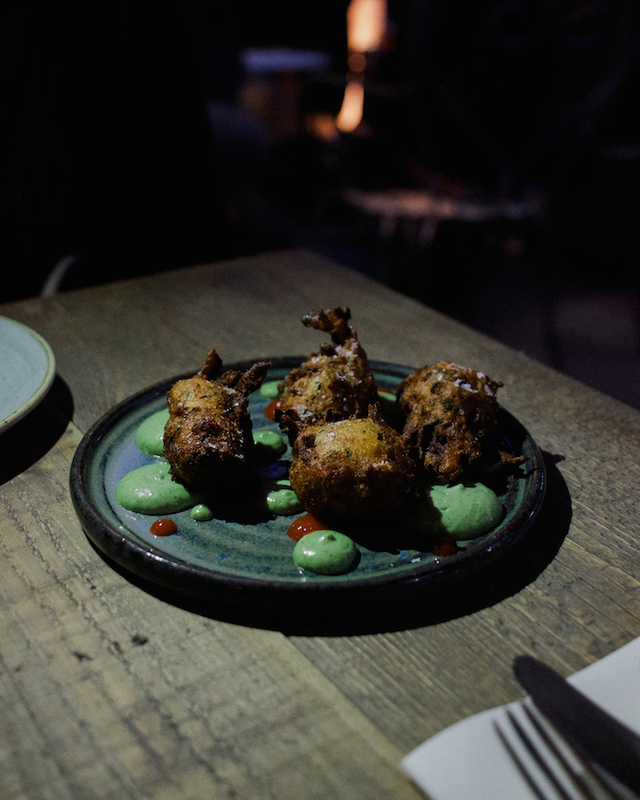 For anyone with similar preferences, Mildreds in Soho is a popular choice for food inspired by international cuisine. I suggest arriving shortly before they open -- there will likely already be a line waiting outside! Please feel free to leave any questions about dining out in London in the comments below! Hope this list helps any of you who may be visiting this incredible city soon. Beautiful photos and thank you for your tips! Thanks for stopping by Elisa! Theses places looks so amazing ! I looove the first photo with the lavender it's amazing. It really was a beautiful space! I seldom get to London but these pictures really make me want to come even if its just for the food! Oh wow so amazing places! The Classic Plus hoverboard accessible from Kids Push Scooter is one of another degree of hoverboards currently open in the UK that won't detonate like those when the hoverkart monster consideration was at its most lifted in 2015. Why? Not at all like the poor knockoffs accessible in those days, the Classic Plus has genuine Samsung battery cells (4400mAh) and a UK charger thoroughly satisfying with UK electronic thriving controls.